How to add push notification to Ionic 2 using Firebase Cloud Messaging (FCM) in complete steps. 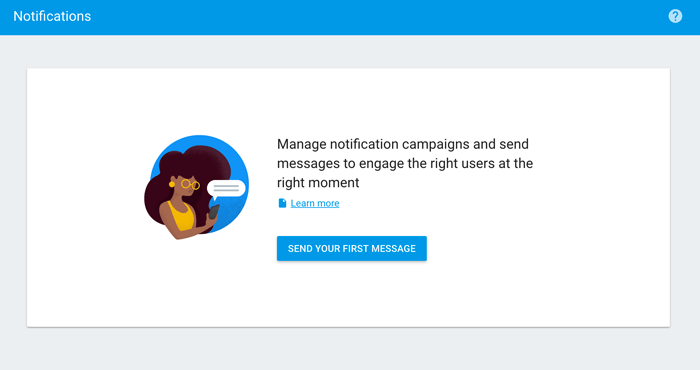 This is a tutorial about how to add push notification to Ionic 2 App using Firebase Cloud Messaging (FCM) in complete steps for production iOS and Android apps. How does it work? Push notification sent from app server to Firebase then firebase distribute to iOS and Android devices that have registered to Firebase. The Android app receives push notification that carried by Google services and iOS app receive a push notification that carried by Apple Push Service that gets notification from Firebase. Before creating Apple Push Services Certificate make sure you have active Apple account with Developer Enrollment and of course you're working with mac os x. 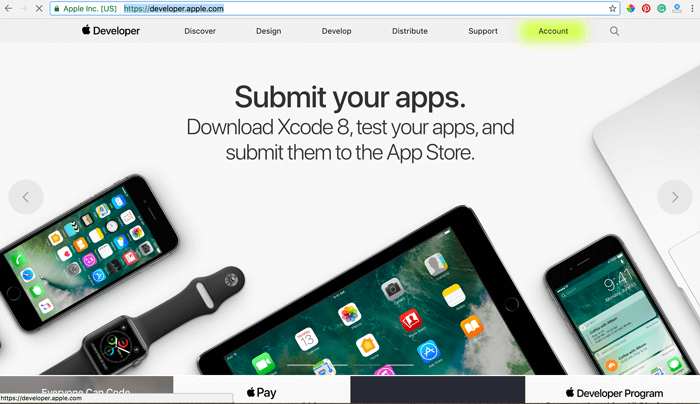 To create Apple Push Services Certificate go to Apple Developer Portal (https://developer.apple.com/). Choose Account then Login with your Apple account that Enrollment enable. Choose certificates, identifiers, and profiles. Choose Identifiers -> App ID from left menu. Click plus button on the top right. If you see Push notification checked with configurable click Register button. You should see Registration Complete summary with some service enable. Choose Certificates -> Development on the left menu. Choose Apple Push Notification Service then click Continue button. Choose App ID that newly created the click Continue button. Follow instruction About Creating a Certificate Signing Request (CSR), after CSR created click Continue button. Choose/Upload CSR file that newly created before then click Continue button. In page Your Certificate Ready, click Download button to get Push Service Certificate. After download, double-click the downloaded file to open Keychain Access in OS X. You should see your certificate on the list then right click on that new certificate in the list. Click File -> Export Items. Save as (mine: "MyFCMPushDev") and choose type as Personal Information Exchange (.p12) then click Save. Enter a password for use in Firebase dashboard then click OK. If it shows a popup to enter the password again use your Mac OS X password then click OK.
Back to the browser, click Add Another Button to create Distribution Apple Push Certificate. Choose Apple Push Notification service SSL (Sandbox & Production) then click Continue. Choose App ID same as before then click Continue. Bypass About Creating a Certificate Signing Request (CSR), because we will use existing CSR file then click Continue button. Choose/Upload CSR file same as before then click continue. In Your certificate is ready, click Download button to get Distribution Apple Push Certificate. After download, double click the downloaded file to open Keychain Access in OS X. Save as (mine: "MyFCMPushDist") and choose type as Personal Information Exchange (.p12) then click Save. Back to the browser, click Add another button if you want to create Certificates for Publishing and Development Testing or just click Done to finish. Now choose Provisioning Profiles -> Development. Choose iOS App Development then click Continue button. Choose App ID that newly created then click Continue button. Select Certificate by check existing IOS Development item or if you don't see it create Development certificate in the previous step as creating Apple Push Certificate. Select Devices that will use for testing the app if not exist add it in Devices -> iPhone on the left menu. Give your new profile a name, mine is "MyFCMAppDevProfile" then click Continue button. In Your provisioning profile is ready, click Download button to get Provisioning Profile file. Click Add Another to create Provisioning Profile for Distribution/Apple Store. Choose Distribution -> App Store then click Continue button. Choose App ID same as before the click Continue button. Select Certificate by check existing IOS Distribution item or if you don't see it create Distribution certificate in the previous step as creating Apple Push Certificate. Give your new profile a name, mine is "MyFCMAppDistProfile" then click Continue button. Click Done button to finish. Don't forget to double click that downloaded Provisioning Profiles to get activated in your XCode. This time to setting up Firebase for Push Notification. Go to Firebase Console. Log in with your google account. 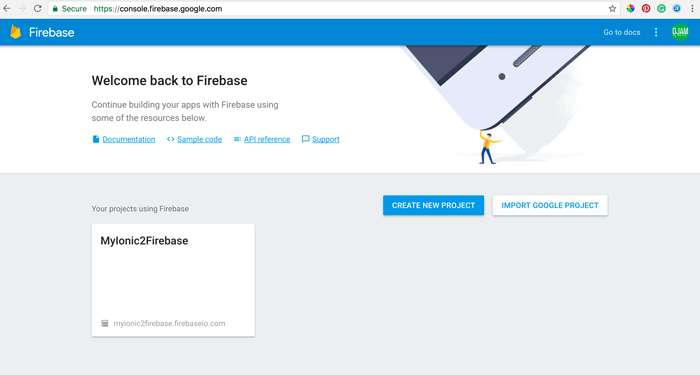 Click Create Project button, after finished you will be redirected to Firebase dashboard. After click ADD APP button, it will download "GoogleService-info.plist" file automatically. Click continue button, we can skip this step because we use Ionic App. Click continue again, we can ignore the Swift/Objective-C code then click Finish. Next, go to Cloud Messaging tab again. Under iOS app configuration upload all Apple Push certificate (.p12) files that previously created in first steps. - Package name = "com.myfcmapp"
After click ADD APP button, it will automatically download "google-service.json" file. Click Continue button, we can write the code (it might be useful later) then click Finish. 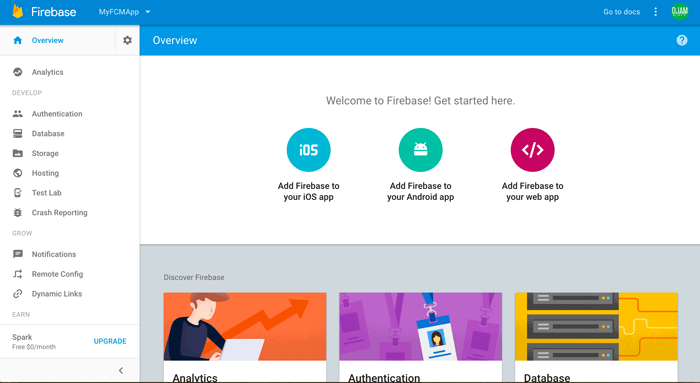 Now, we have 2 apps in our Firebase dashboard. As usually in our tutorial, we have to create new Ionic 2 before go to the next steps. Open terminal/cmd then go to your project folder. In there, type this command to create new Ionic 2 App. After finished create a project and run "npm install" automatically, go to the app folder that newly created. 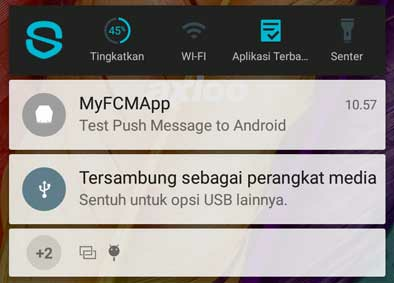 Now, install Cordova FCM plugin by this command. You will see a red error message. Error: cordova-plugin-fcm: You have installed platform ios but file 'GoogleService-Info.plist' was not found in your Cordova project root folder. Just copy file "GoogleService-Info.plist" that downloaded in the previous step to folder "platform/ios". Next, add android platform because when create Ionic 2 app default platform added is iOS. We added version "6.1.0" because when this tutorial writes, default "cordova-android" version is "6.0.0" and there's a bug in icon/splash screen resource. Now, copy file "google-services.json" to folder "platform/android". Oh wait, don't forget to copy both GoogleService-info.plist and "google-services.json" to the root of Ionic 2 project folder. 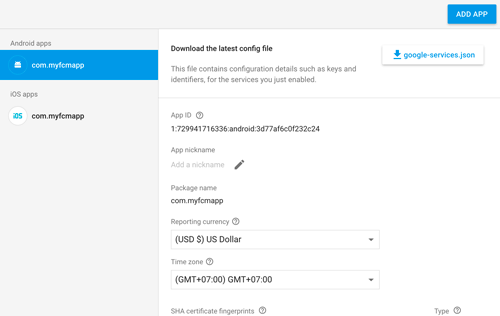 Now, the time for configuring FCM in Ionic 2 App. Open this new Ionic 2 project folder in your IDE or Text Editor. Edit file "src/app/app.component.ts" and declare FCM plugin before "@Component". Inside constructor and platform ready add this lines of codes. 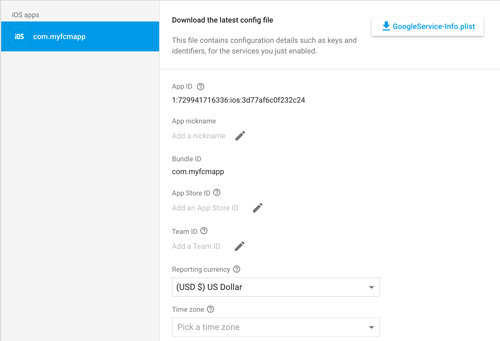 Don't forget to change App ID in config.xml to match App ID in Firebase and Apple App ID. That it's, now you just can run your app in a device with this command. If you want to test in an iOS device, build to iOS first. Then run the app to an iOS device from XCode. Don't forget to turn on push notification in capabilities section of project configuration and use provisioning profile that previously downloaded and set in XCode. You will face an error like this. Remove default added ios platform when creating Ionic 2 app then add again. And also remove and add "cordova-fcm-plugin". After app running in devices, go to Firebase console then open menu Notifications on left side. Message Text = "Test Push Message to Android"
Message Label (optional) = "Test Push Message to Android"
Then click SEND MESSAGE button. When popup show, click SEND. If you see like this on your Android device then you have setting up Ionic 2 and FCM successfully. You can do the same for iOS except for Target App change to App ID with an iOS icon. For complete example source code you find in my GitHub. For FCM plugin you find here. We know that building beautifully designed Ionic apps from scratch can be frustrating and very time-consuming. Check Ion2FullApp ELITE - The Complete Ionic 3 Starter App and save development and design time.